But what if you aren’t level 100?! We’ve got your back! If your EverQuest II account was created before today (April 20, 2017), you will be able to claim one free Level 100 Boost Bauble for one character. The Boost Bauble offer will begin on Tuesday, May 2 around noon PDT and end on Monday, May 15 at 11:59PM PDT. The Boost Bauble will get a single character to level 100 (if it is below that level) and grant you a set of gear that will allow you to jump right into the Co-opetition Challenge and compete. The Boost also makes characters heroic enough for Kunark Ascending expansion content! If you have a new account created today or later, you can claim a Boost Bauble if you buy an active membership during the date and time ranges noted above. 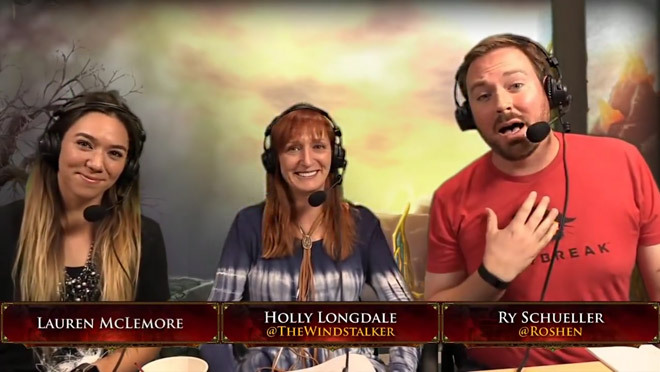 I’m very happy to announce that Windstalker, Kander, and I, along with some other team members, will be hosting Ask Me Anything’s on live servers later this month! We want to get in the game and hear from you. To that end, each server will have its own timeslot so everyone will have the chance to come and chat with us. These AMA’s will be spread out over April 26th, 27th, and 28th and each is planned to last an hour. We’ll do our best to answers as many of your questions as we can! The fact that it took them so long to give us information is disheartening to me, but I guess better late than never (depending on how it all falls out down the road).